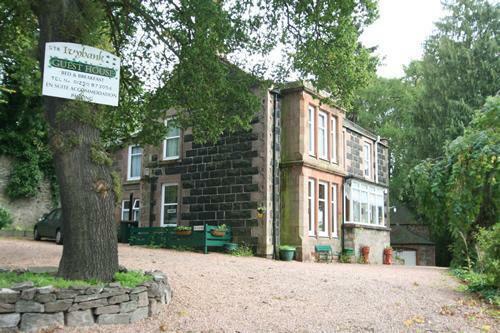 Ivybank Guest House Blairgowrie, Hotel Scotland. Limited Time Offer! Ivybank Guest House. "Ivybank Guest House" has acquired 4 stars. The hotel is a perfect place to stay when discovering Blairgowrie. This family run guest house rests within a large garden, offering a quiet haven within the picturesque region of Perthshire. Comfortable, clean and fresh bedrooms benefit from the Ivybank's non-smoking policy. + Great location, friendly & helpfull staff, great breakfast! + conversations with hosts. helpfulness. - some of company found bed and pillows hard. + Good location with off street free parking. Nice room with excellent en suite facilities. Owners welcoming and helpful. - Room did get a little chilly but the weather was unseasonably cold. - it was too expensive for the quality of the room, the bathroom and the location.